Pualani Enos. PC: file 2015 Omidyar Fellows program. 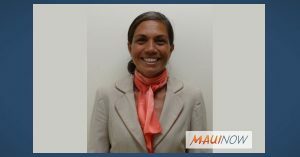 After serving as the Executive Director for Maui Hui Mālama for 12 years, Pualani Enos will be stepping down from her position on April 30, 2019. 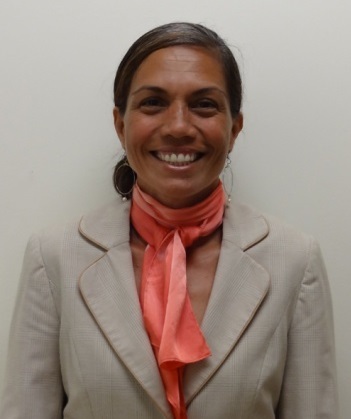 Enos will be working closely with the Board until she leaves and Chelsie Haunga, Director of Programs and Operations, will serve as Acting Director during the transition until her replacement is announced. The Board of Directors will begin their search for a new Executive Director immediately. “Hui Malama has given me the opportunity to participate in the outstanding achievements and growth of our clients over the last decade and has enriched my professional and personal life in extraordinary ways. I have been blessed in my time here with caring and talented staff, support and guidance from a generous and committed Board of Directors, and collaborative work with exceptionally gifted partners from various sectors whose goals aligned with ours. I feel proud of the innovative work we are currently doing and have every confidence that current staff will carry our work to new heights to fulfill our mission through services that achieve sustained positive impact. I will remain a steadfast and passionate supporter of the work and look forward to serving our community and Hawaii Nei in a new capacity,” said Pualani Enos. “We are grateful to Pua’s contributions and all she has done for Maui Hui Mālama. She has an exciting opportunity ahead of her and we wish her all the best. Pua and her team have done a great job of fulfilling the mission of supporting and developing Maui’s youth and we are committed to finding the next leader who can continue on that path,” said Vince Baldemor, Hui Mālama Board President.